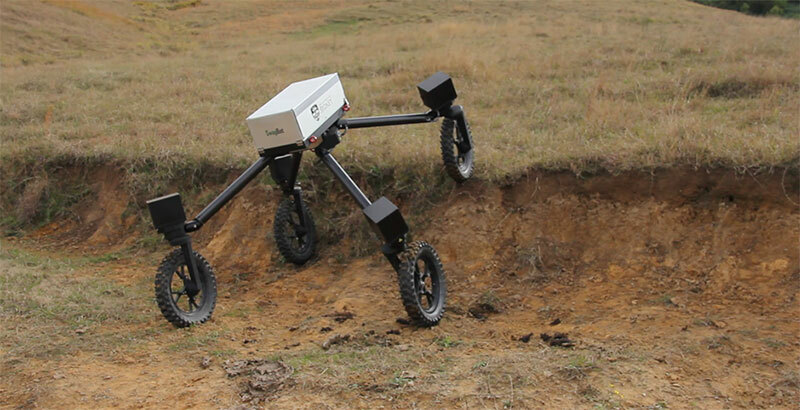 Not as classic as a cowboy nor as loyal as a border collie, but this robot could bring some much-needed help to the farmers of the Australian outback. While the name sounds like some sort of obnoxious, millennial-targeting social media app, SwagBot could instead be an invaluable ally for farmers in Australia. According to New Scientist, the technology was developed to deal with the country’s outback farmsteads, which are both enormous and sometimes far outside cities. For example, Suplejack Downs in the Northern Territory is a half-day drive away from a town and is 4,000 square kilometers (988,421 acres) in size. 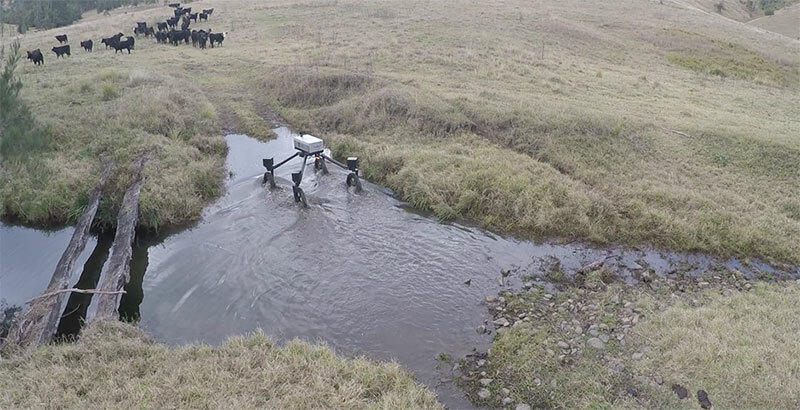 SwagBot is able to keep tabs on cattle (and potentially sheep) on its own and navigate bumpy terrain with ease, helping to guide the cows towards pastures and away from potential hazards. The university’s Australian Centre for Field Robotics is only weeks into a two-year trial to test autonomous farming robots, and SwagBot has already impressed in its early testing, showing that it can get around obstacles and do the job without constant oversight. As the video shows, cows respond well to SwagBot’s movements, plus the four-wheeled ‘bot can also tow trailers around the farm. SwagBot’s movements may be deliberate and awkward-looking at times, but that slow and steady approach helps the robot overcome swamps, logs, sudden drops, and other surprise terrain without toppling over. And its mandate will only get more important in the near future. According to University of Sydney professor Salah Sukkarieh, his team plans to enhance SwagBot with sensors that allow the robot to monitor the condition of cows in the field on a regular basis – a significant upgrade from the sporadic check-ups they get from humans. With the sensors, SwagBot will be able to determine if a cow is sick or injured based on its body temperature or the way it walks. It’s not fully clear yet how farmers will be able to control or program SwagBot should it have an eventual consumer-focused model, but the GPS boundaries of the land will probably need to be plugged in or outlined on a map. Quite likely, it would have an interface that could be accessed via a computer or tablet, letting farmers tweak SwagBot’s directives before letting it loose into the fields. Once instructed, however, it should work without manual control – although the trial video shows a flying drone used to observe or potentially even help guide its movements if desired. SwagBot is only the latest example of a movement to bring more technology into farming and automate processes to free up farmers’ resources. In May, we saw a few examples of autonomous farming robots at the AgBot Challenge in Indiana, where students and entrepreneurs battled to showcase their best prototypes, plus Bayer recently announced plans to use extensive satellite data to help farmers better manage their fields. Even home gardeners can get in on automation with FarmBot Genesis. In fact, SwagBot isn’t the only robot developed by the University of Sydney to assist Australian farmers. Other robots in its expanding arsenal can monitor and pull (or spray) weeds in a field or even count all the apples in an orchard so farmers can better prepare for pollinating the trees. It’ll probably be years until SwagBot and its ilk are patrolling an average farmer’s field outside of the trial run, and the rolling robot is unlikely to be as iconic as the classic human cowboy, or as lovable and loyal as a border collie. Still, even if it doesn’t look like the cowboy you expect, SwagBot could bring some much-needed help to the farmers of the Australian outback.